You've been sitting at your desk for hours, sending emails, writing reports, reviewing notes for tomorrow’s meeting, and doing everything that floats across your desk. You realize that your neck and back are sore and your wrists feel stiff. This is very common, especially for those working in an office setting. You take it as part of your job; you stretch it out and continue to plug away at those emails. Unfortunately, this is how many people perceive these symptoms, as part of their job. Wrong, there are a number of things an individual or business can do to help improve their workstation. Ergonomics is the study of your work, your work environment, and work tools being used. Symptoms of a poor work environment or tools are eye strain, back pain, neck pain, stiff wrists, and more. If you ever have any of these symptoms it is time to start doing something about it. Here is an excellent illustration of tips that you can do to incorporate ergonomics into your everyday life. It is also important to remember that there is different ergonomically friendly office equipment such as mouse pads, keypads, monitors, chairs, and desks. At Spectrum Industries we offer a wide variety of desks, tables, and chairs that can make your workstation more enjoyable. 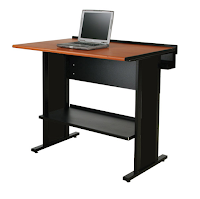 Here we have the Freedom One eLift Desk and the Evolution Stand-up Desk. 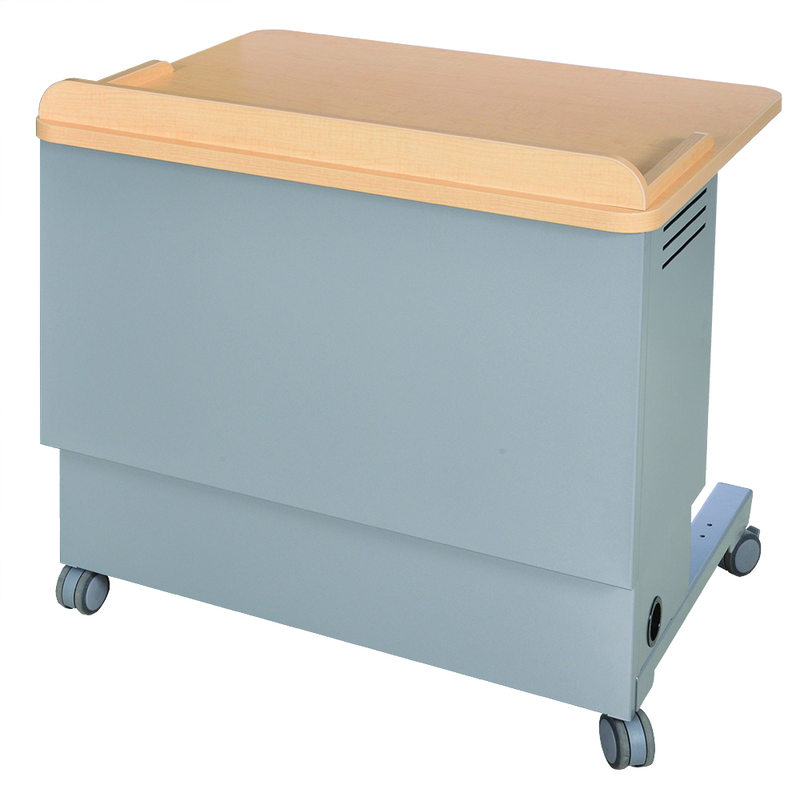 With the eLift desk the user has the option to do their work sitting down, but if you are getting stiff or experience back pain you can take your desk from sitting to standing with the push of a button! Our eLift's raise up to 42 inches high making this desk the right height for everyone. It is important to remember however that when using a standing desk the kick rests are very important because it alleviates pressure from the knees. The Evolution Stand-up Desk is perfect for people that have recurring back problems and it is also equipped with a bull nose edge making it more comfortable on the wrists to avoid carpal tunnel. Now let's look at our Executive Mesh Back Chair. 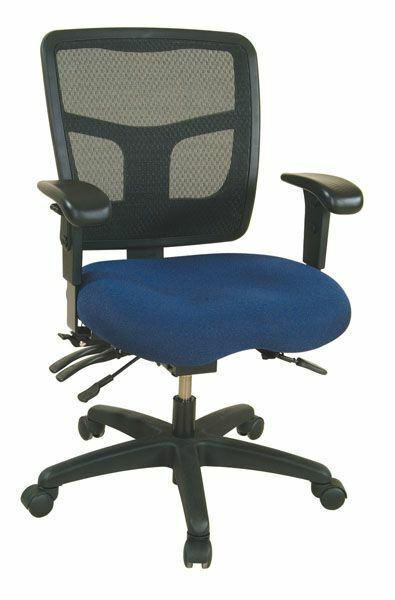 This chair has easy back height- adjustments, locking seat and back tilt, sliding seat, a tension knob, and five star legs making weight more evenly distributed. These features make it easy for the user to adjust the chair any way that works best for them. To see more products, you can view our website at www.spectrumfurniture.com or for more ergonomic tips and tricks check out our Pinterest page.